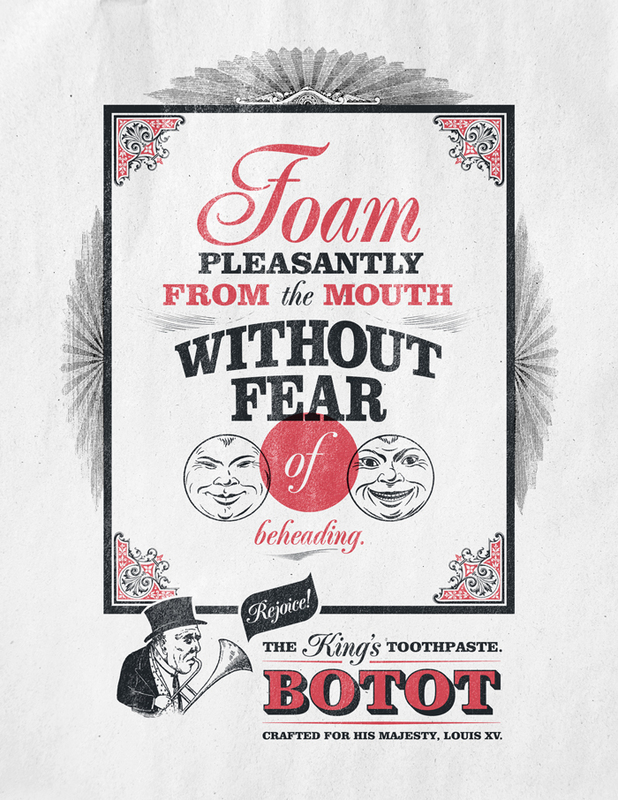 Botot is the world's first toothpaste, made for King Louis XV. Long live the king! 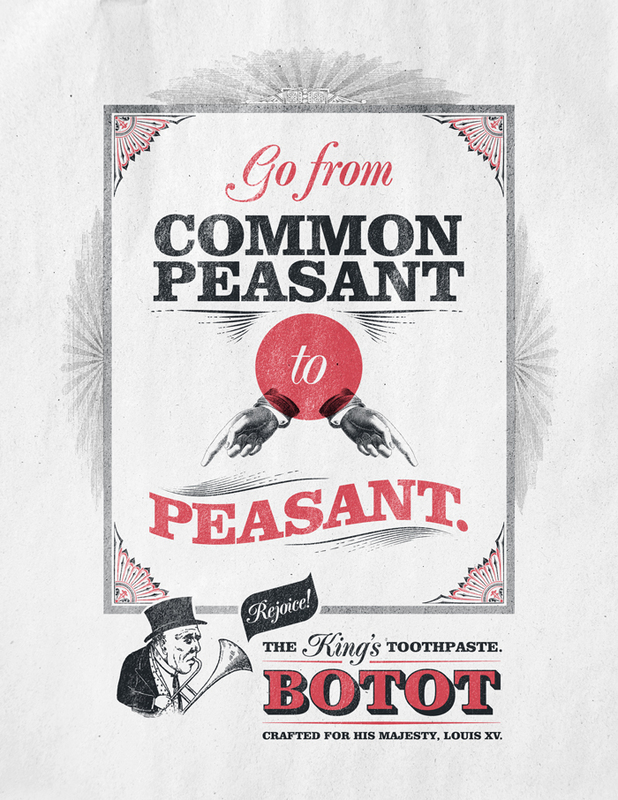 A couple of chatty peasants talk about the king's fancy new toothpaste. 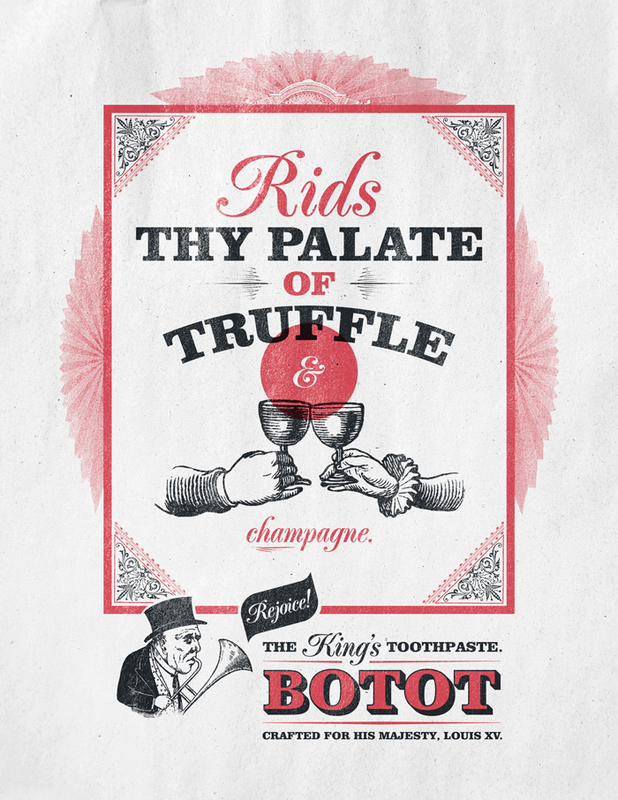 We made a few instructional posters that would make any royal sink really pop. Brushing your teeth won't make you the king. But you can still act like one by brushing while playing these one-handed games. How can you be a king if you don't have any treasure? 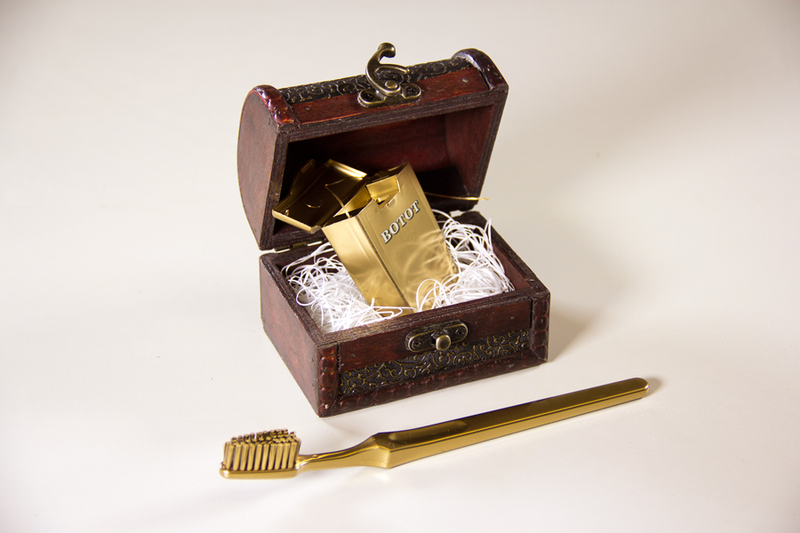 To get things started, we'll give away $50,000 in the form of a toothbrush and floss. Rejoice! We won a 2013 Radio Mercury Award.